Paris is known to be the city of light and is probably the most romantic city in the world but not every inch of Paris is luminous. 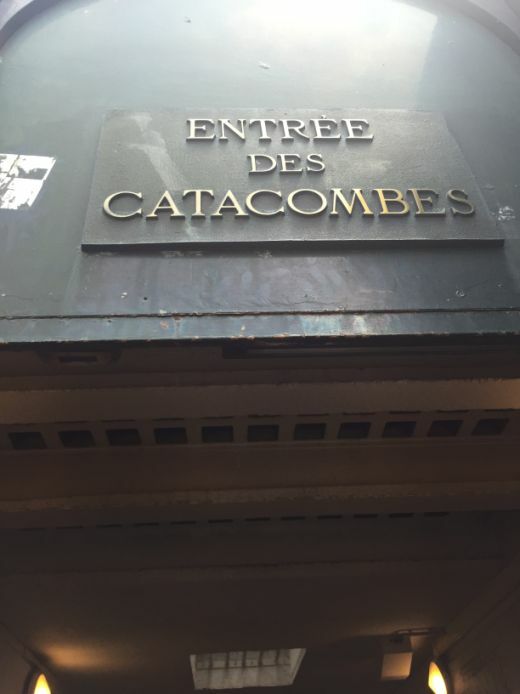 Underneath the heart of the City, 60 feet below street level you will find the Catacombs (Les Catacombes), a 200-mile network of old caves, tunnels and quarries, and much of it is filled with skulls and bones of the dead. 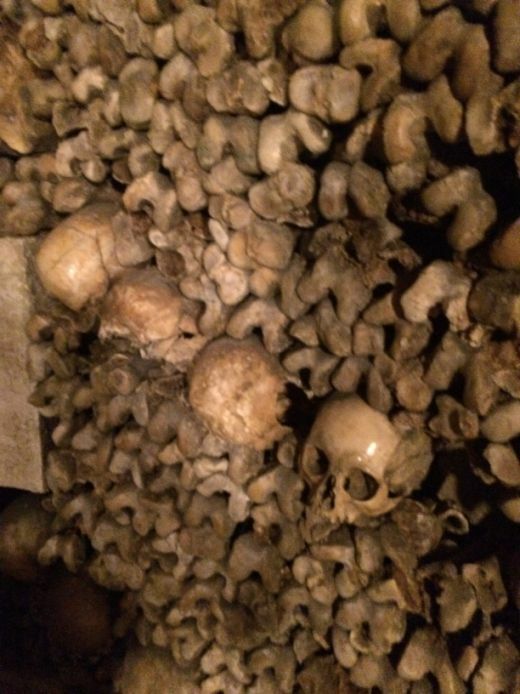 Prior to the creation of the Catacombs, in the mid-18th century, Parisians buried their dead in cemeteries, but as the city continued to grow, burial grounds ran out of space, and tainted groundwater affected nearby residents. 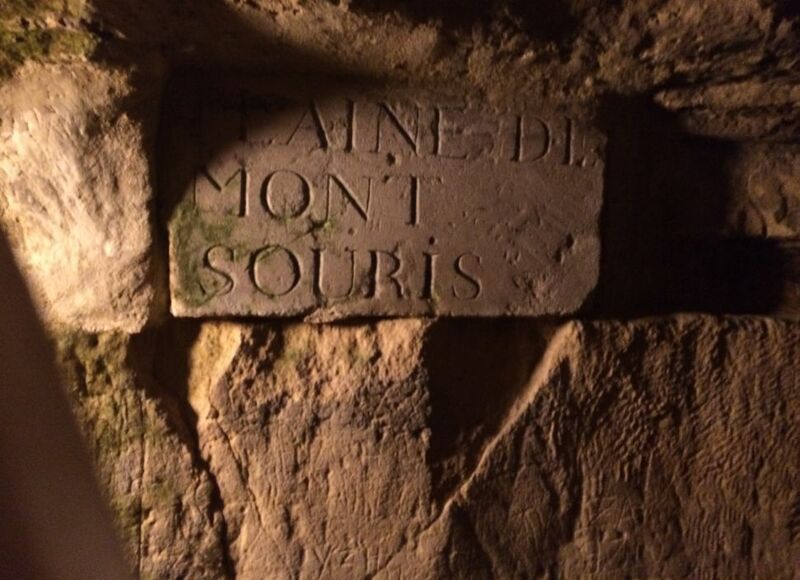 In 1786, heath conscious Parisians looking to relieve congestion and improve the City's sanitary conditions emptied the church cemeteries and moved the bones of 6 millions people to the Catacombs which was at the time a former limestone quarries. 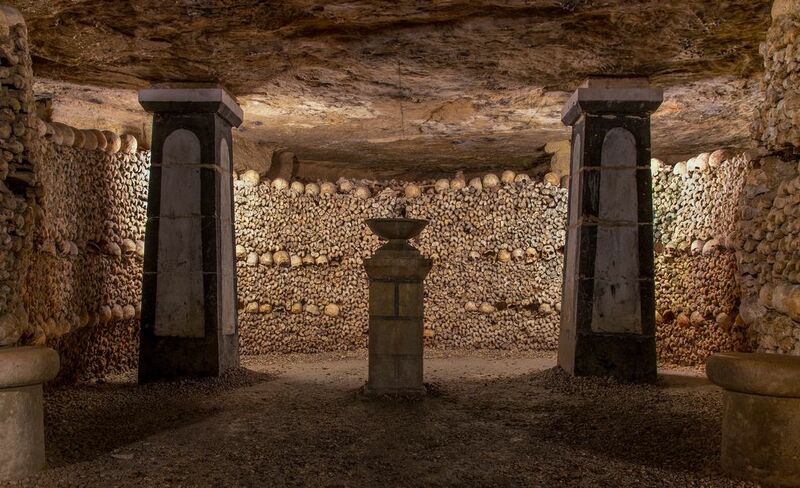 For decades, priests led ceremonial processions of black veiled, bone laden carts into the quarries, where the bone were stacked in piles five feet high and as much as 80 feet deep. 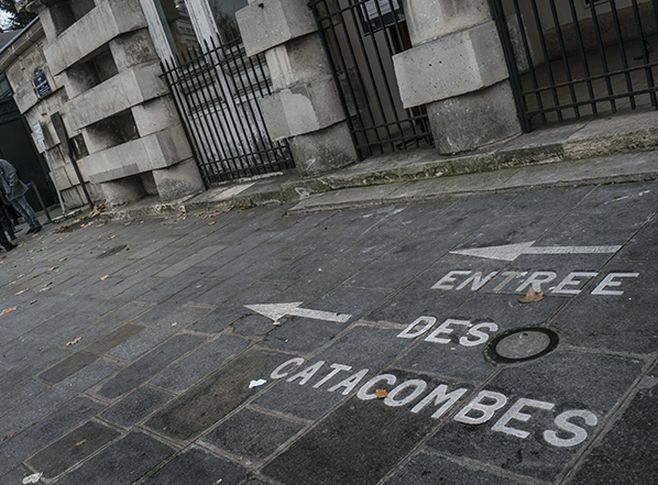 The Catacombs open at 10:00AM, we got there at 9:30Am and there was already a long line wrapping around the park behind the entrance. There is always a long queue so you need to arrive as early as an hour before opening time if you don't want to wait in line. We are now 60 feet under street level. 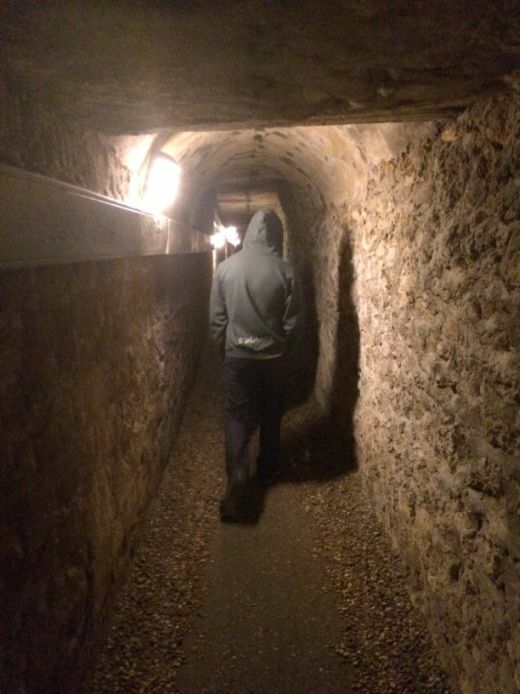 All the tunnels in the Catacombs are narrow, dark, uninviting, with a low ceiling. 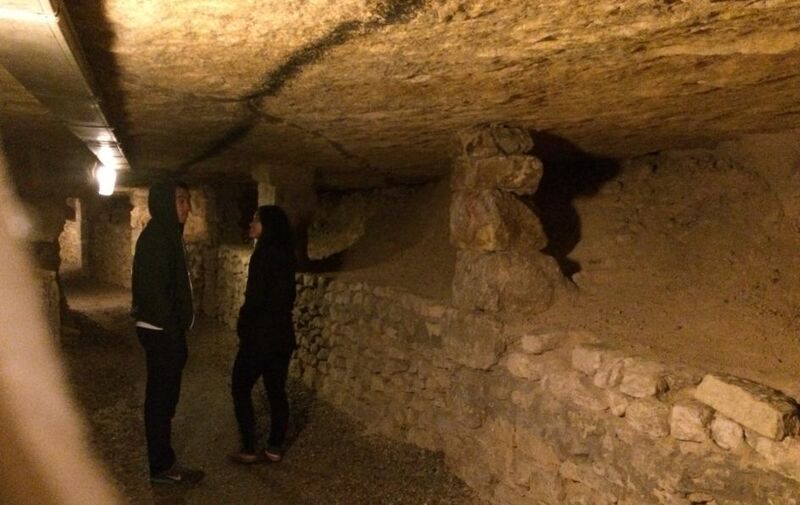 If you are claustrophobic, skip the Catacombs. 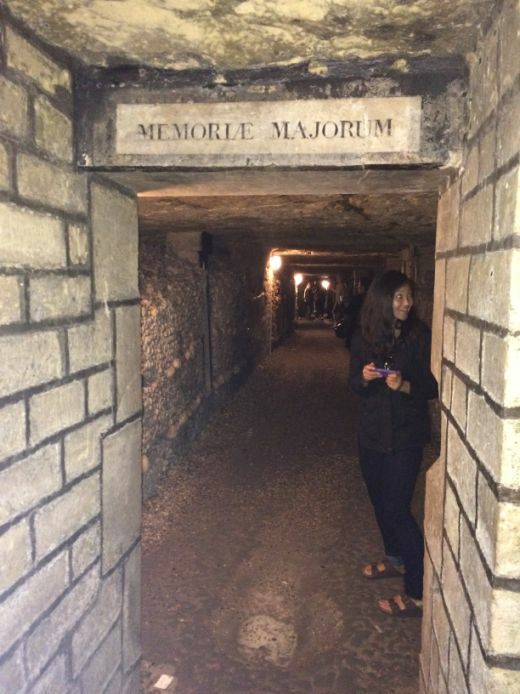 The tunnels inside the catacombs are like a maze. Wear sturdy footwear as the paths inside are full of gravel, uneven and even slippery in some sections. 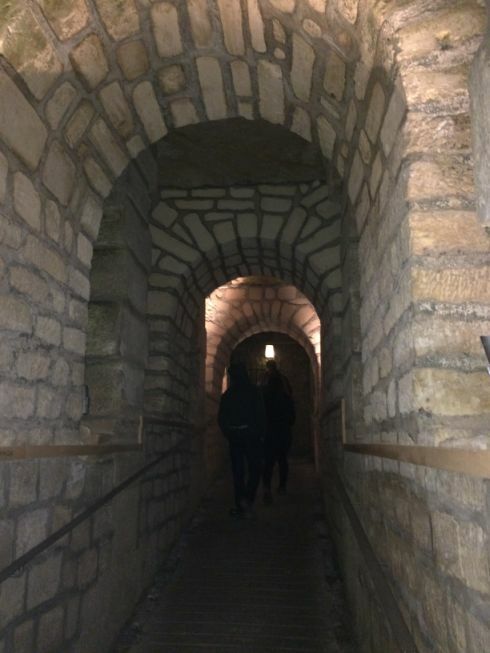 I did not bring a lot of shoes so I showed up at the Catacombs with a wedge heel so needless to say I had difficulty walking in a few sections but I survived. I takes about an hour from beginning to end and about 1 mile walk. 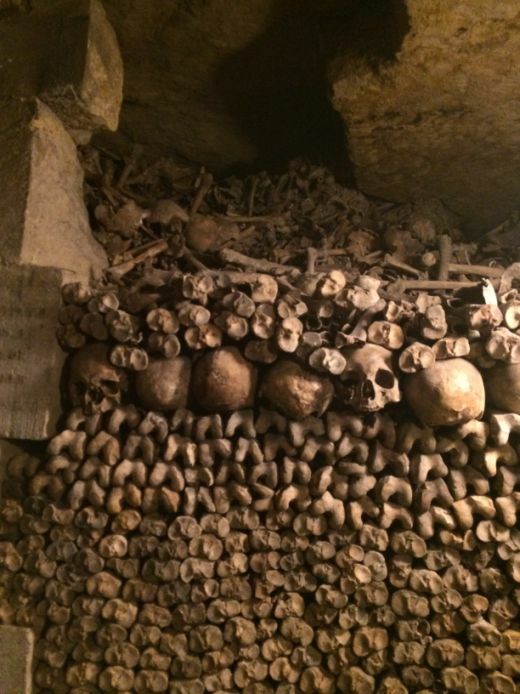 Some parts of the catacombs are not open to the public. Marks on ceiling: notice old tools marks on the ceiling made by the kevel hammer. 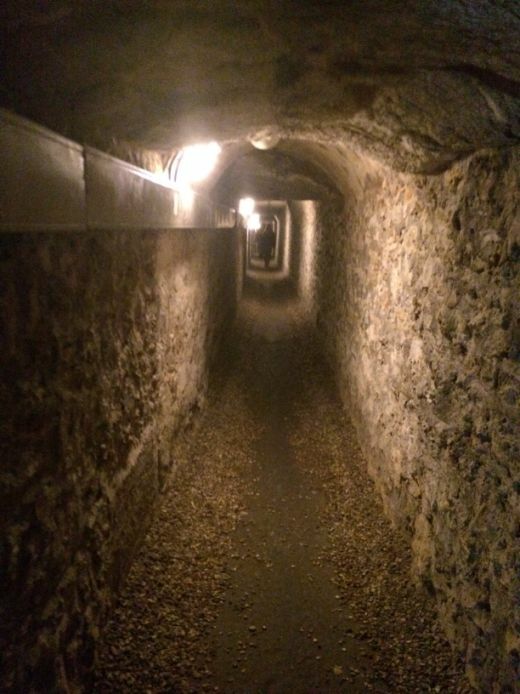 Made when the ossuary was opened to the public, the black mark on the quarry ceiling allowed 19th century visitors to get their bearings in the galleries. 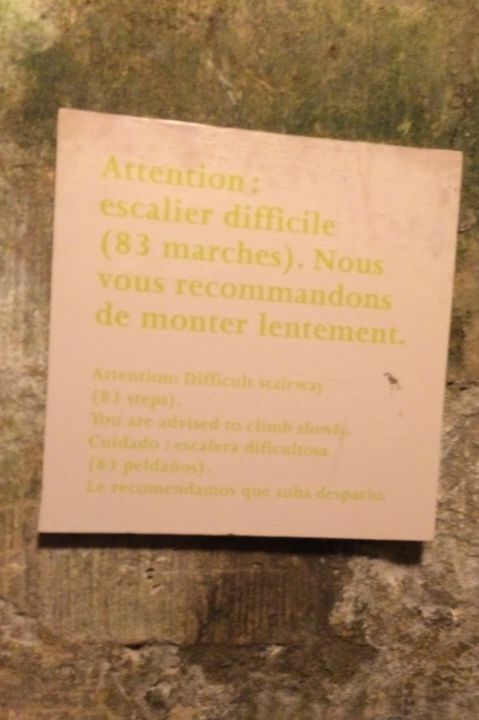 In some section there was water dripping from the ceiling, the terrain change constantly, most of the walkway was uneven and sometime slippery too. 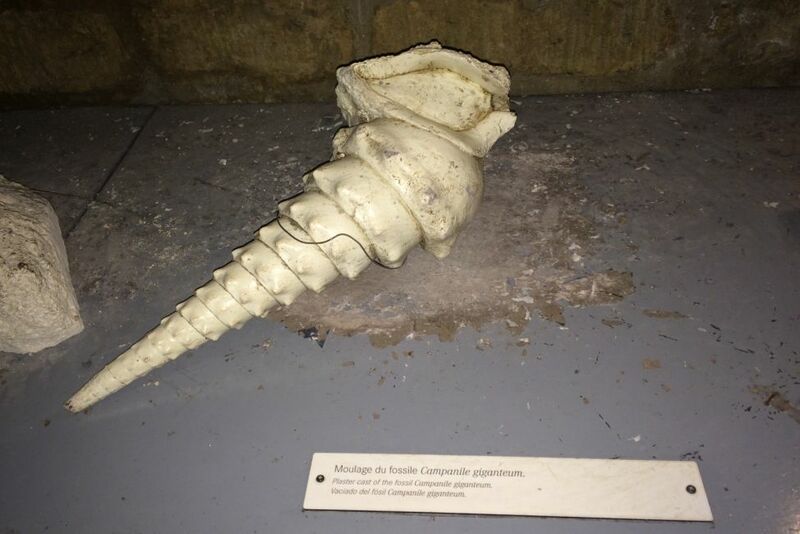 Perhaps the most unique and popular curiosity is the sculpture created in 1782 by Beauséjour Décure, a discharged soldier who had been enrolled in the army of Richelieu during the re-conquest of Minorque. 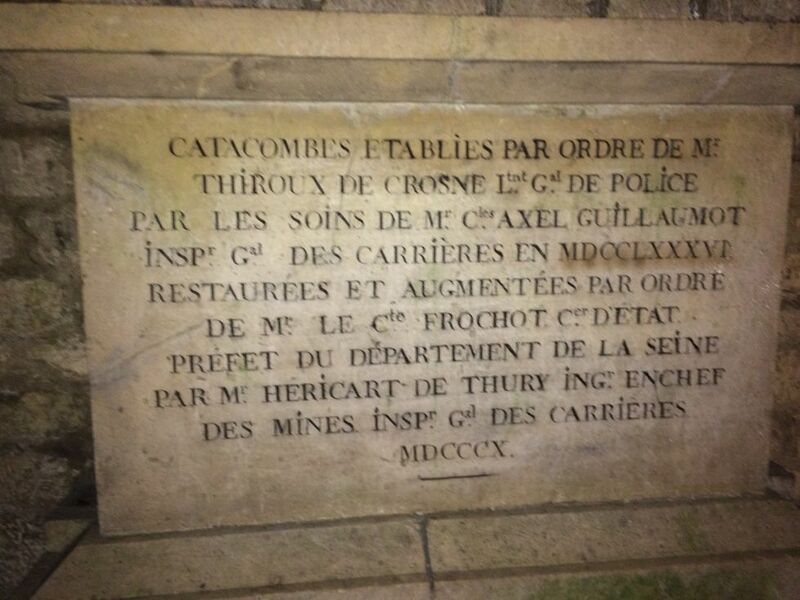 Although only a few details of his life are known, once discharged he worked in the quarries. 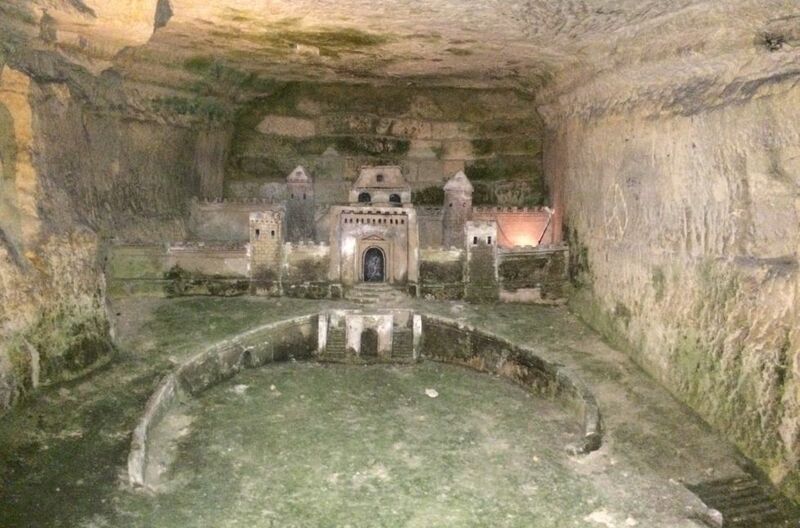 During breaks, for five years Décure chiseled out of limestone a replica of the Port-Mahon, the largest town on the island of Minorca, one of the Balearic Island, where he is believed to have been prisoner by the English. 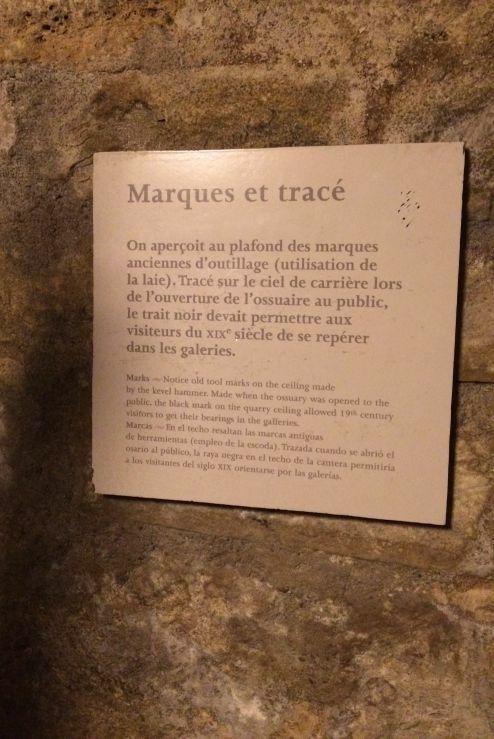 Wanting to make his creation more accessible, he was killed by a cave-in while opening an access stairway to his model. 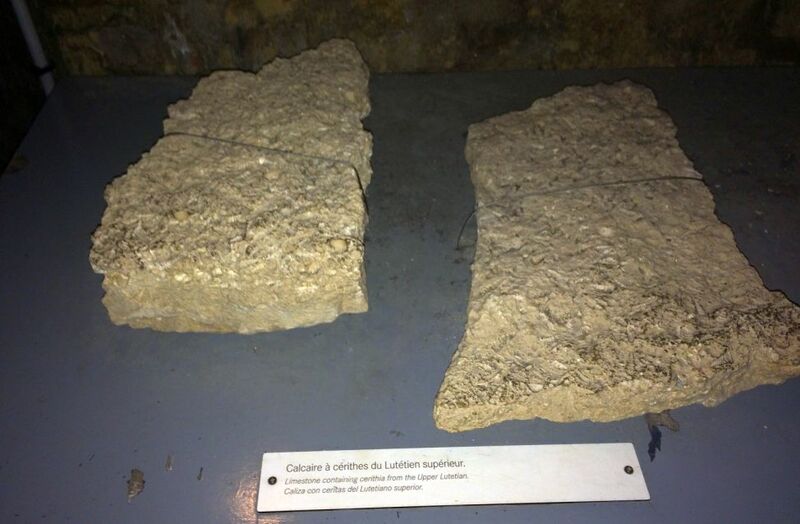 The first geological drilling undertaken in Paris was carried out by Héricart de Thury in 1814. 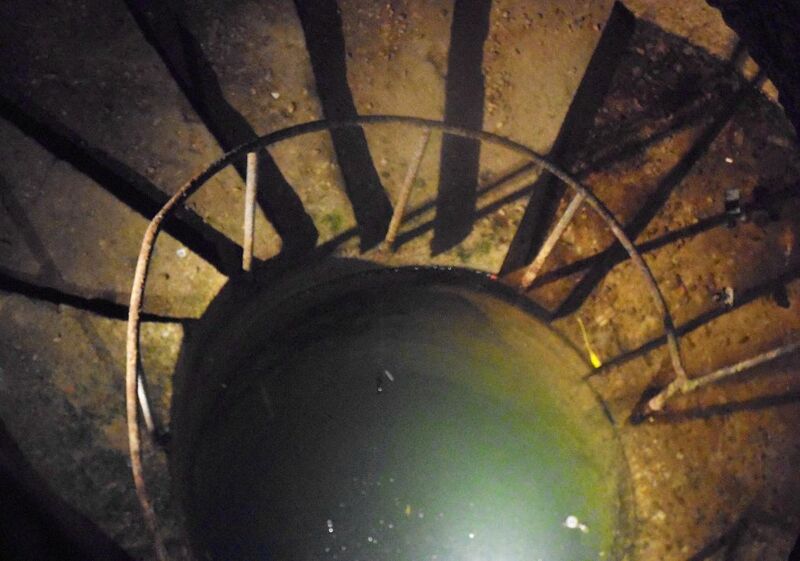 Dubbed "The Quarrymen's Footbath", the well contains crystal clear groundwater that has percolated into the drilled-depression. The only way to detect its presence is to step into it. 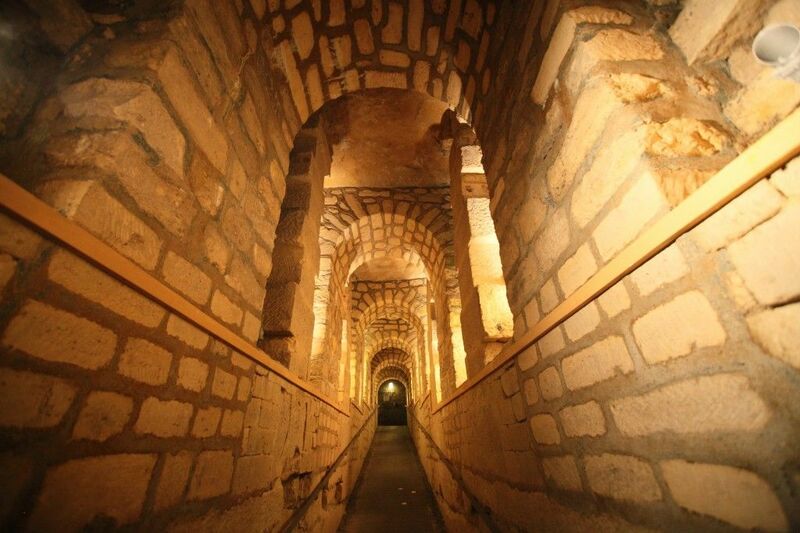 The water was subsequently used by quarry workers to mix cement required for the Catacombs. 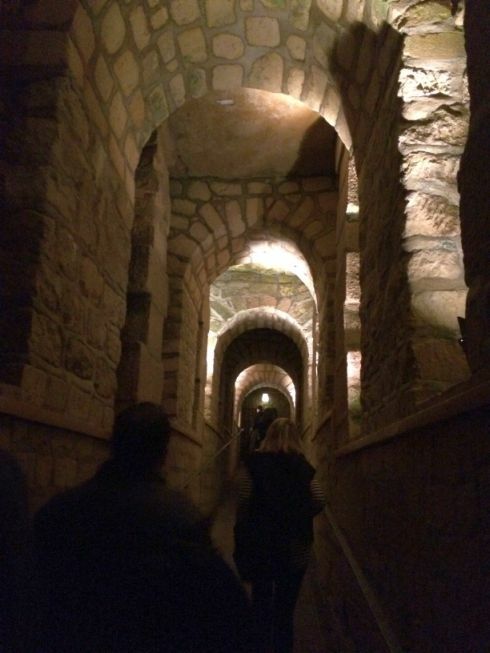 Passage to the catacombs-This part of the catacombs is probably the nicest! 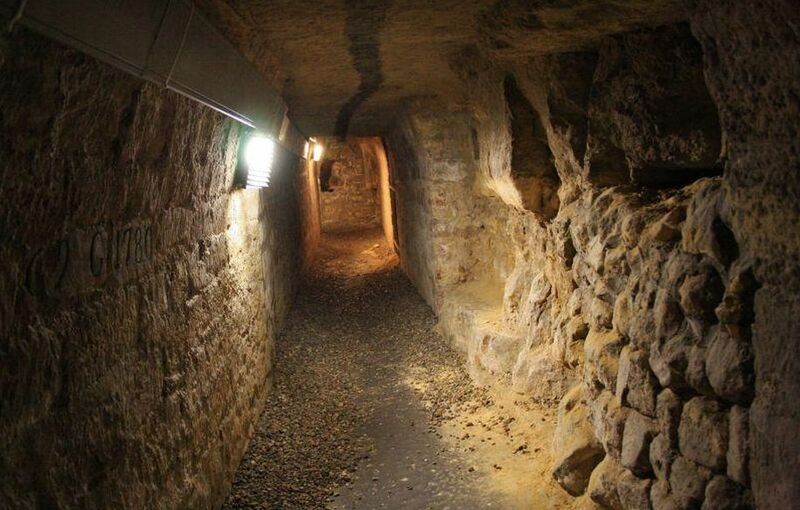 The passage let to area where they are displaying materials, fossils that were dig up from the catacombs. 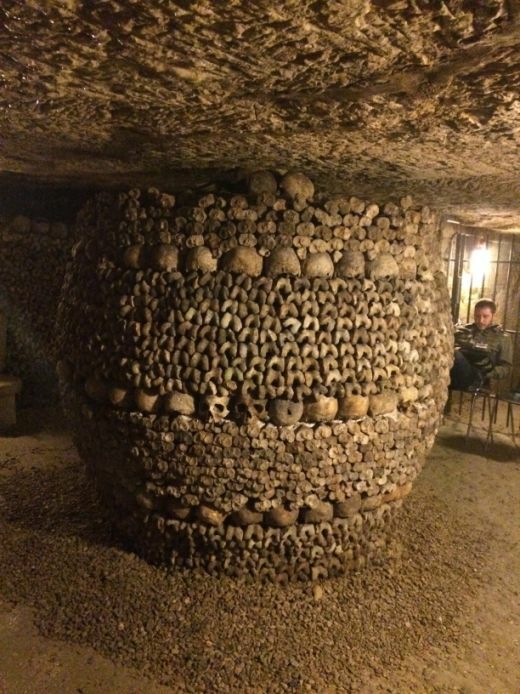 We are now entering the ossuary portion of the Catacombs. 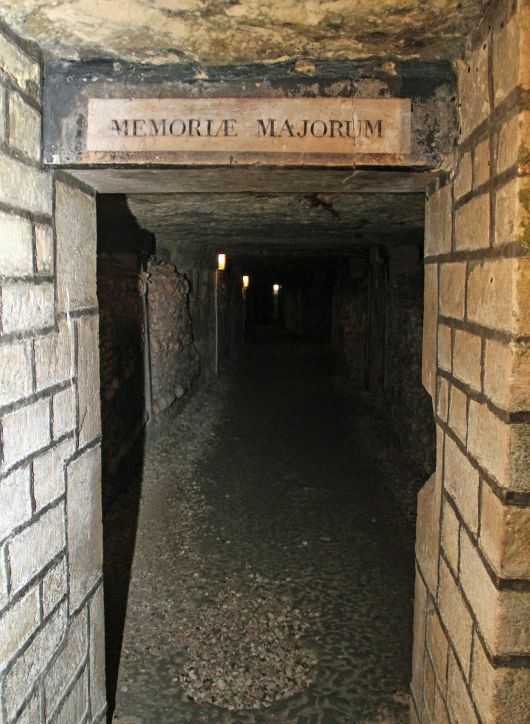 The entrance door is a low portal with an engraved lintel in Latin - MEMORIAE MAJORUM – “in memory of the ancestors.” The reverse side of the lintel states “Wherever you go, shadowlike death will follow"
Once you enter the entrance you will be overwhelmed by all the bones. 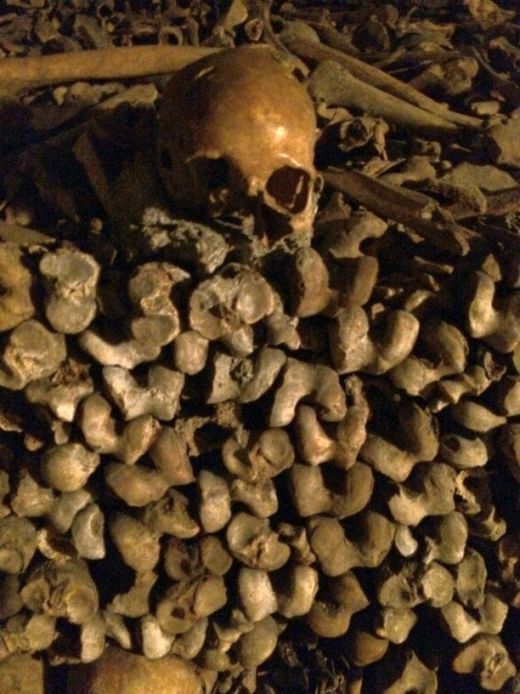 I don't get scare very easily but it gave me the chill to be there surrounded by the bones of 6 millions dead people. 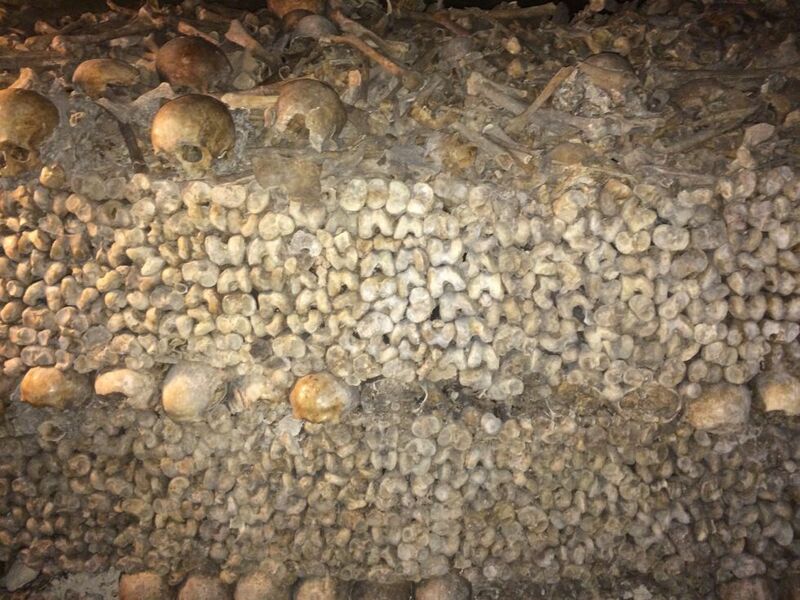 Wall after wall lined with bones. 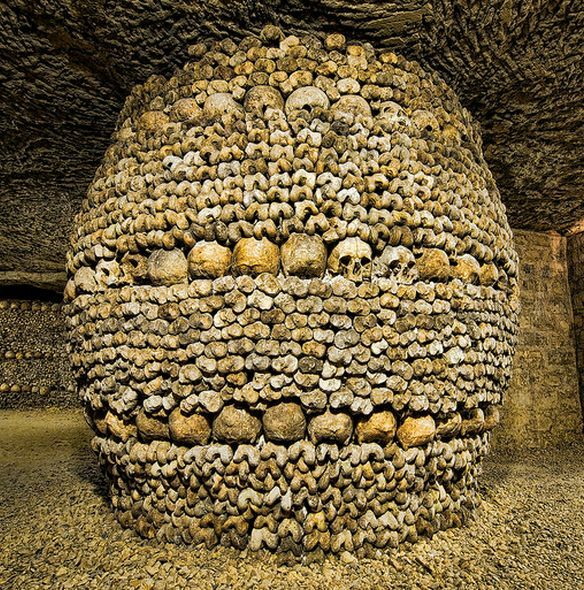 Although some sections of the Ossuary contain a haphazard array of bones, the tour only reveals those neatly arranged in cranium-studded friezes of skulls, femurs and tibias. 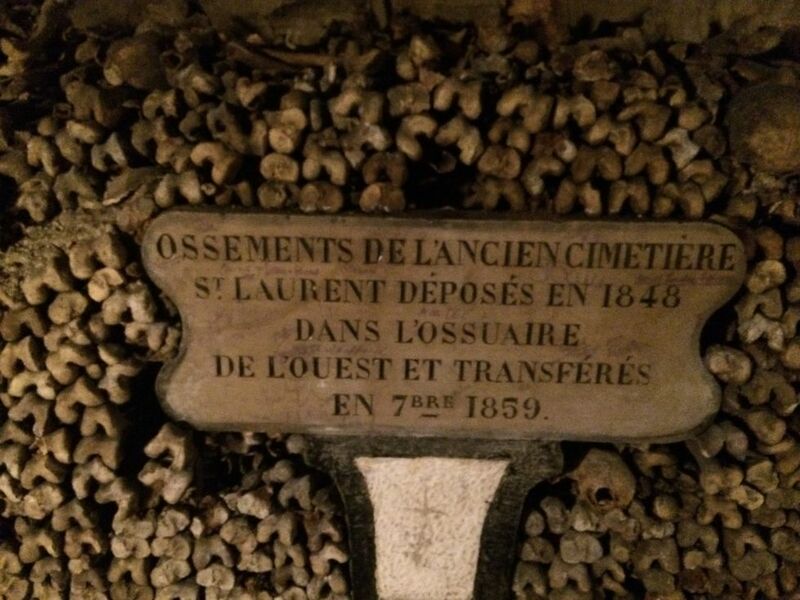 In the first years, the Catacombs was a haphazard repository, but renovations in 1810 transformed the underground ossuary into the visible mausoleum (and tourist attraction) that it is today. 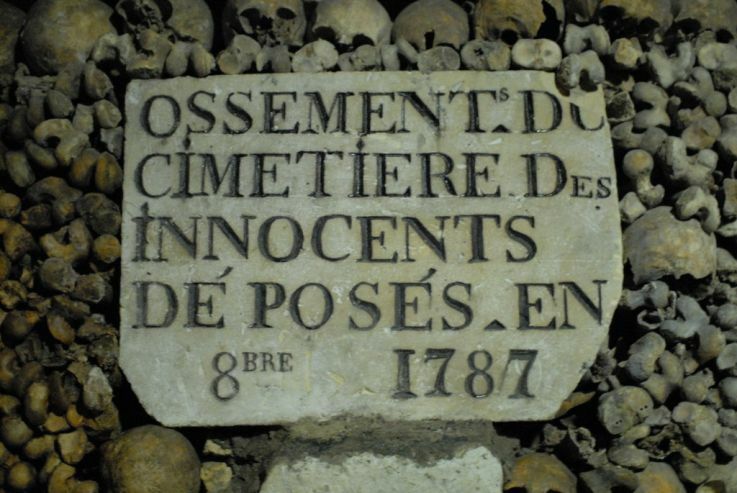 Skulls and femurs were stacked in repeating patterns in total anonymity, while funerary decorations such as monumental tablets, archways bearing inscriptions, warnings and even poetic verse were installed to complement the walls of bones. 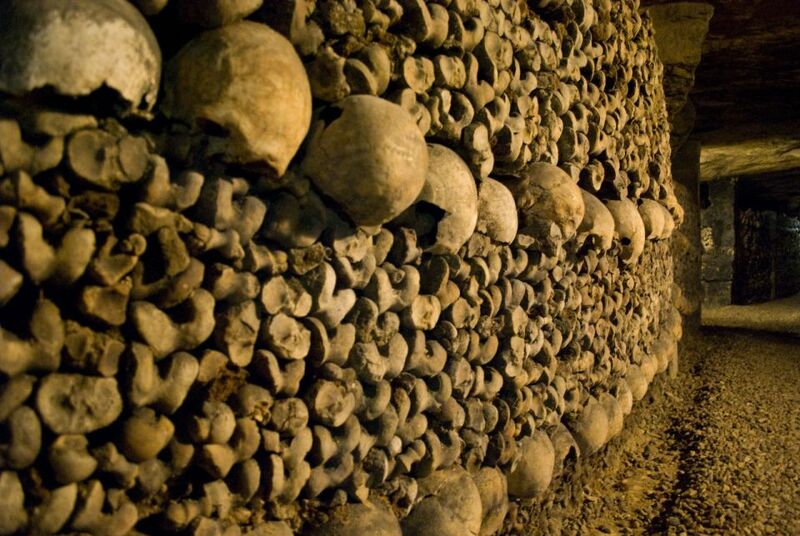 Bones are grouped by the cemeteries that they came from. Some are neatly stacked along the corridors; others arranged in patterns, creating crosses and other image. 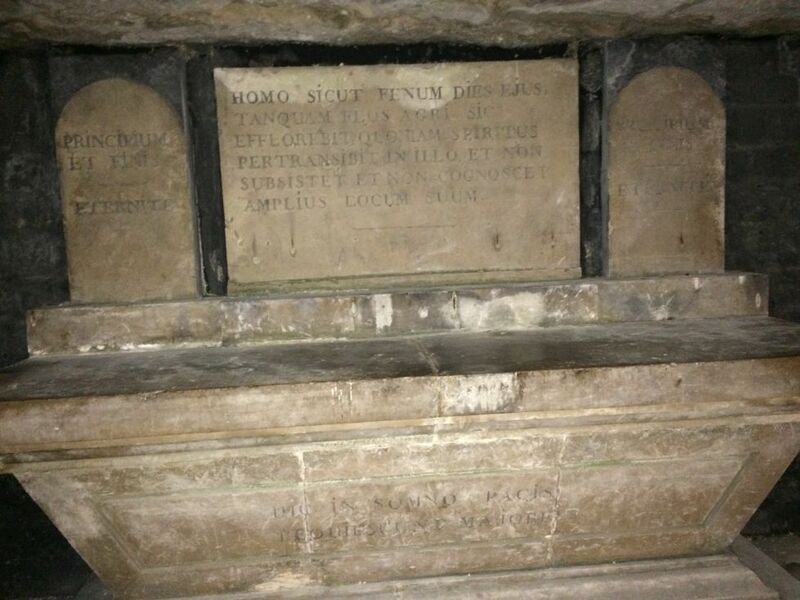 Sacellum crypt-From the Latin from small sanctuary. 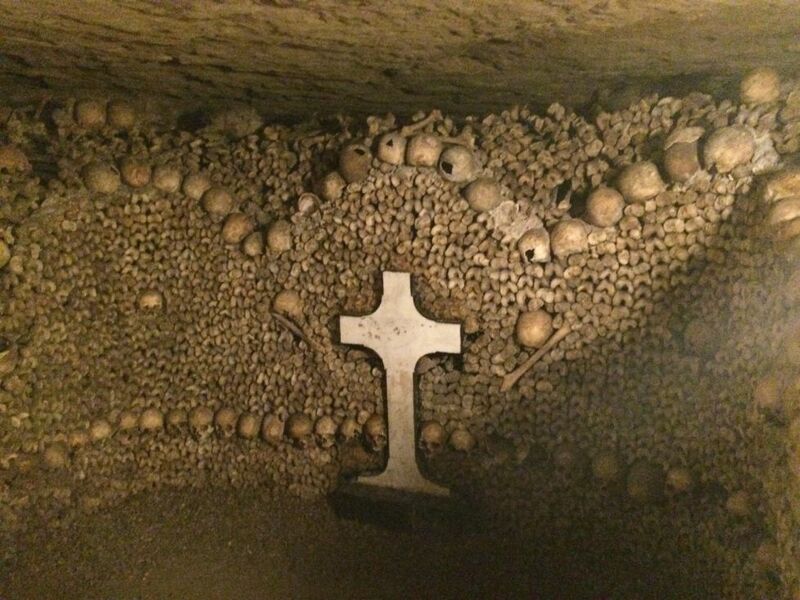 Mass was celebrated here in memory of dead Parisians. 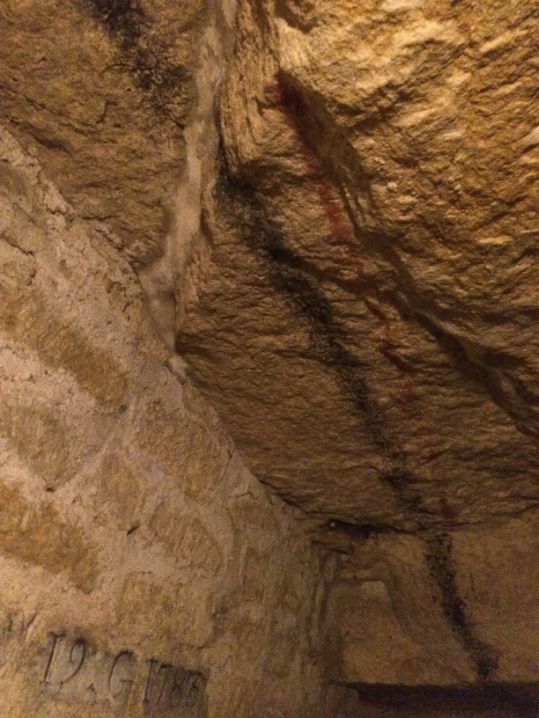 Some part of the Catacomb are damped and you can see water dripping from the ceiling. 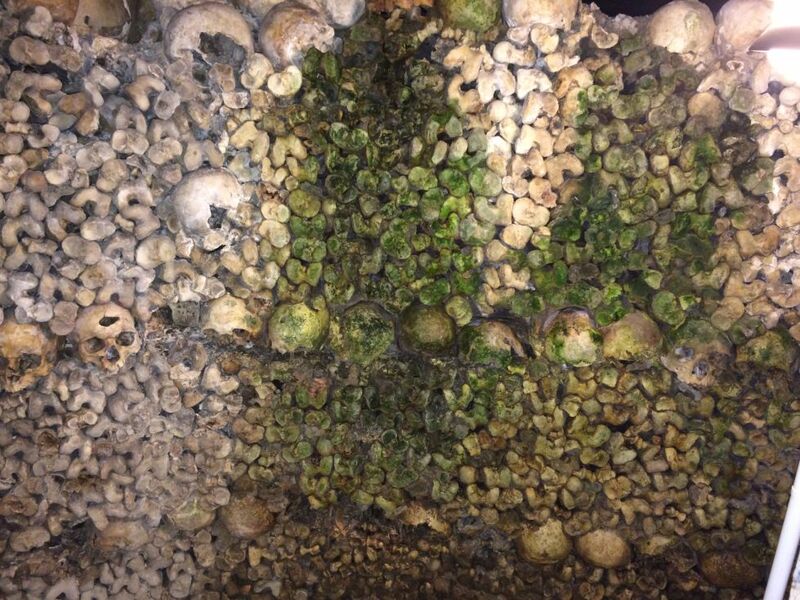 Here you can see it formed some green moss on the bones. 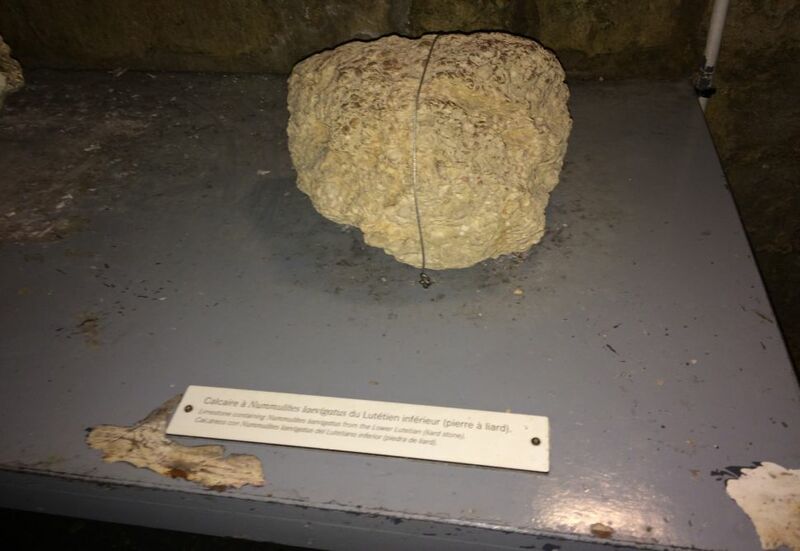 The Sepulchral Lamp is the oldest artifact in the Catacombs which is a bowl in which quarrymen used to keep a fire burning constantly to create a draught to make the air circulate through the corridors. 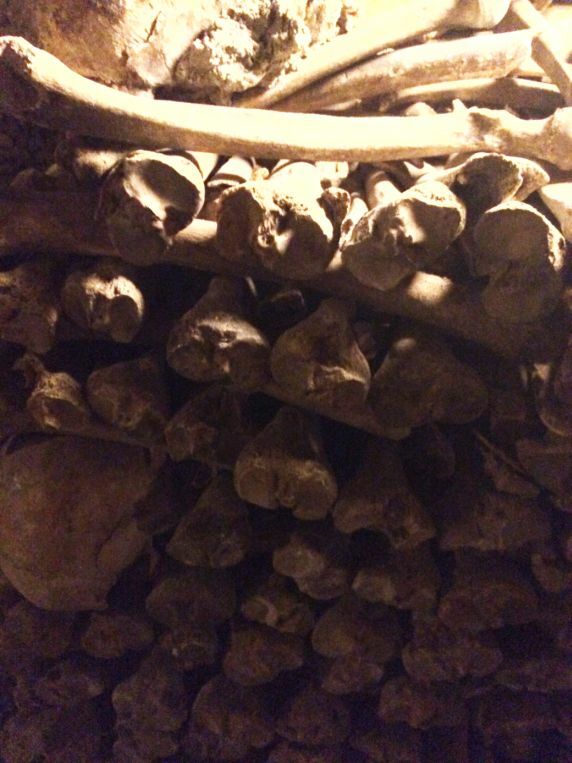 This barrel-shaped array of skulls and shin bones in the Crypt of the Passion hides a pillar supporting the ceiling of the Catacombs. 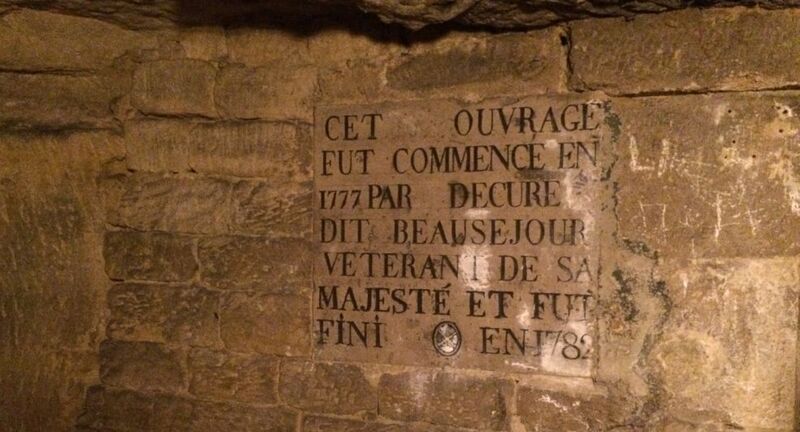 It was in this crypt that a macabre clandestine concert took place on 2 April 1897, between midnight and two o’clock in the morning. The event was attended by scientists, scholars, artists and distinguished persons of wealth. 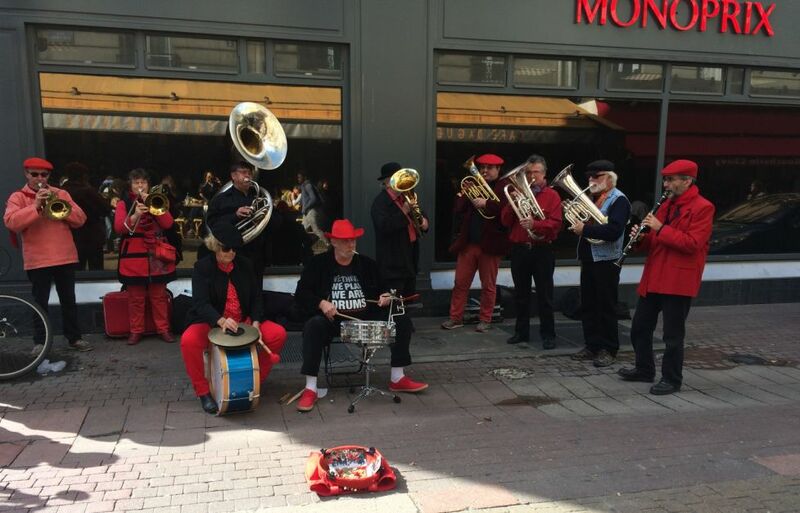 The two workers who let them in were sacked as soon as their identities were discovered. 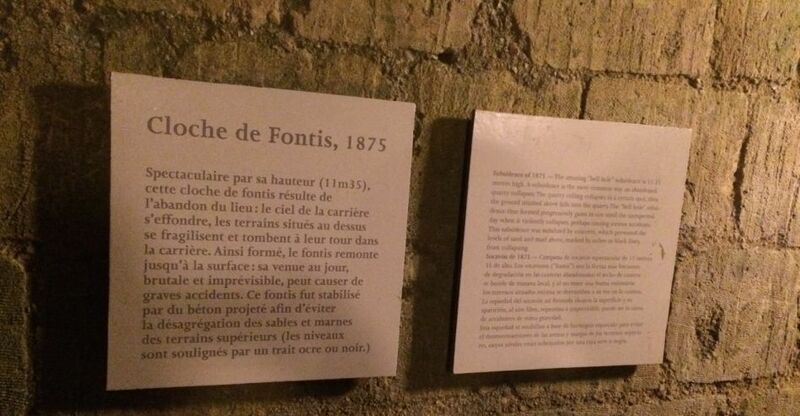 The next corridor leads to a gallery consisting of a number of subsidence sinkholes (fontis) consolidated between 1874 and 1875, three of which are over ten meters deep. 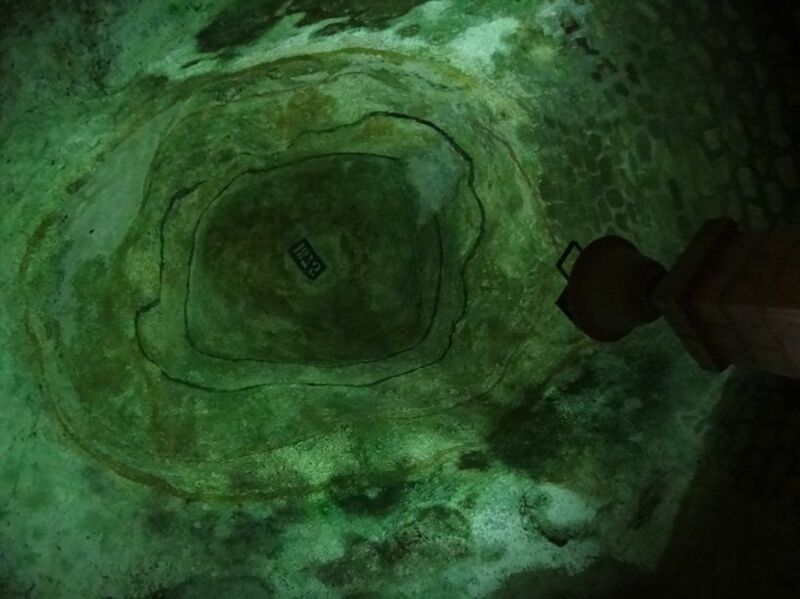 The rubble that had collapsed from the ceiling has been excavated and allows the viewer to observe its bell-shaped structure. 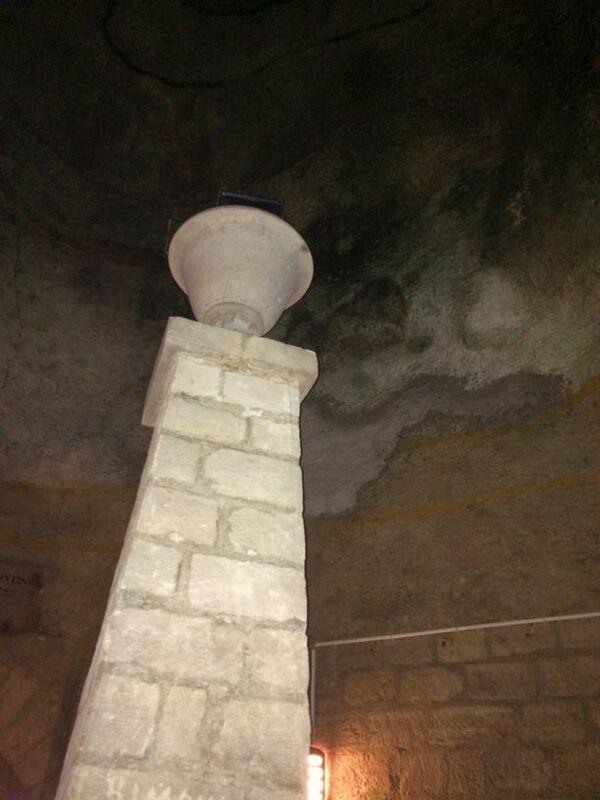 Subsidence of 1875- The amazing "bell hole" is 11.35 meters high. 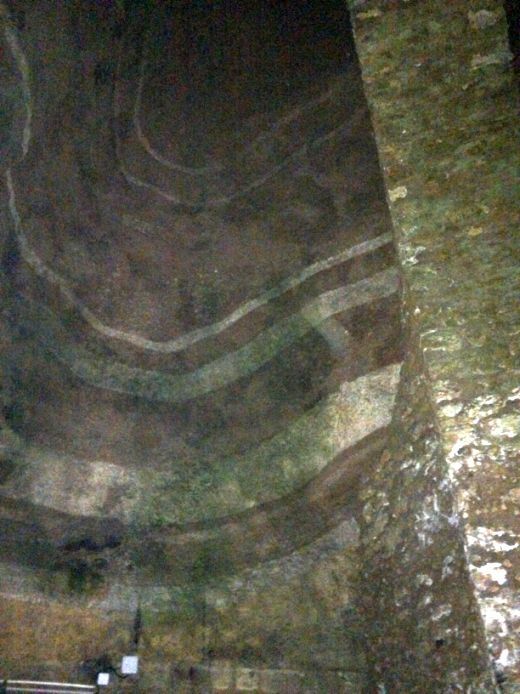 A subsidence is the most common way an abandoned quarry collapses. The quarry ceiling collapse in a certain spot, then the ground situated above falls into the quarry. The "bell hoe" subsidence thus formed progressively gains in size until the unexpected day when it violently collapses, perhaps causing serious accidents. 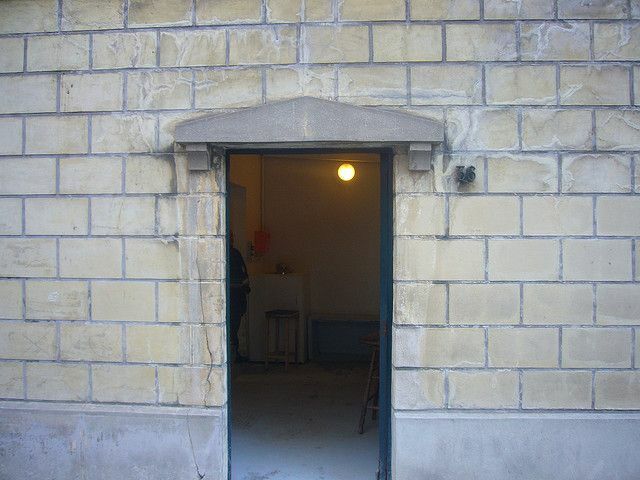 This subsidence was stabilized by concrete, which prevented the levels of sand and marl above, marked by ochre or black lines from collapsing. 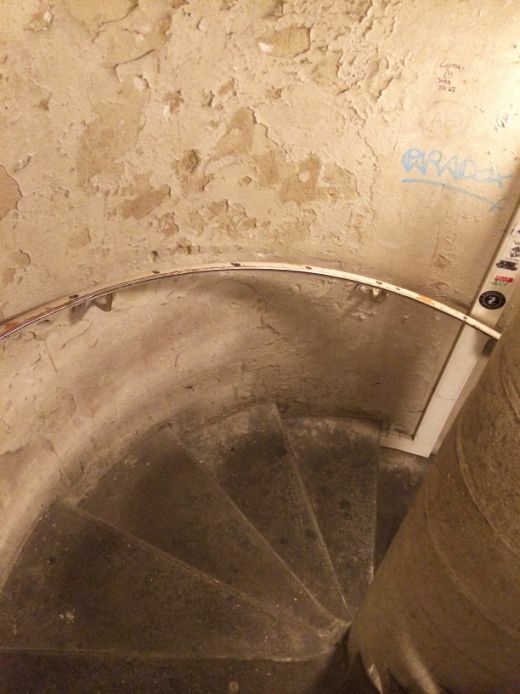 The tour is now over and we had to walk up a narrow, circular stairway with 83 steps. It was a difficult climb as the steps are so narrow and pretty steep. We made it out.... After an hour in the dark I am so glad to be out in the open and breathing fresh air! 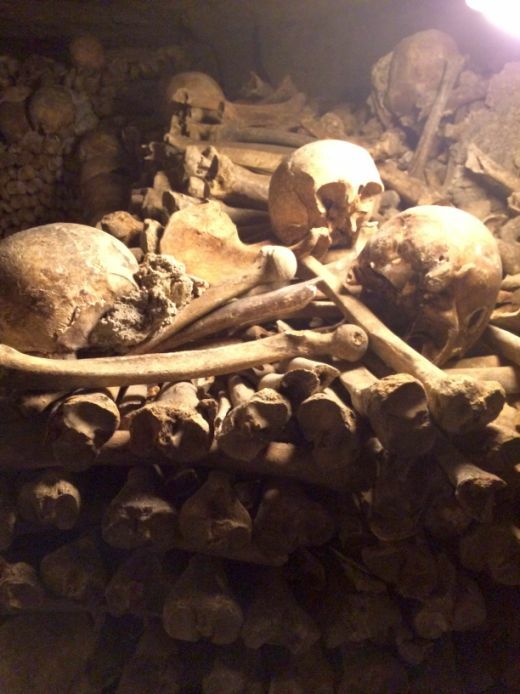 It was an interesting visit but we are so glad to bit farewell to all the skulls and bones.